People from all over Colorado visit ReStore 2.0 and they leave having found exactly what they were looking for, but couldn’t find anywhere else. Our ReStore is filled with treasures waiting to be found! Habitat for Humanity Roaring Fork is proud to offer the WeBuild Project, which creates custom cabinets in partnership with Colorado State Corrections. Shop for eco-friendly paint. We carry GreenSheen recycled paint. GreenSheen is a paint disposal and recycling company that produces eco-friendly latex paint. Browse kitchen appliances for 20% off due to minor cosmetic damage. 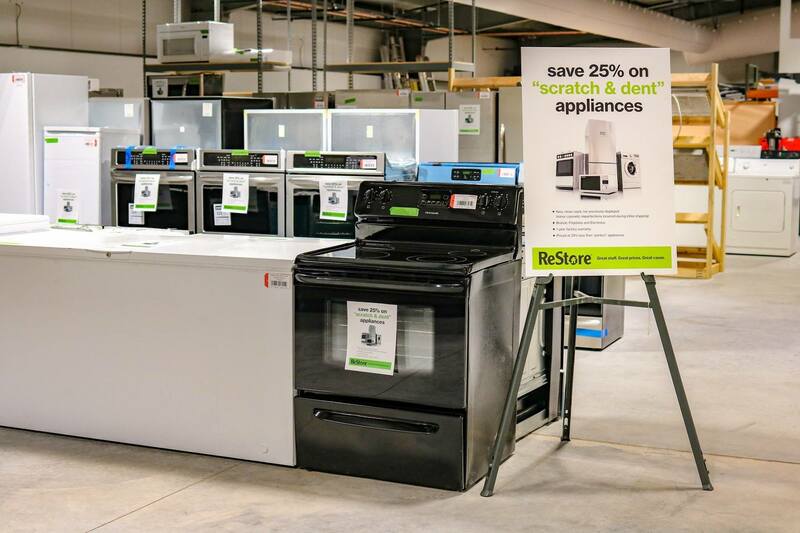 We sell refrigerators, washer/dryer sets, ovens, microwaves, commercial appliances, and more. Buy new mattresses and bedding at incredibly low prices. Visit ReStore 2.0 at 53 Calaway Court just off of Highway 82. 11/25/2018, 7:30pm by Sarai Im looking for washer and dryer,do yo u have ?